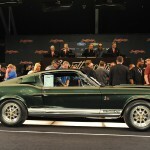 Low mileage On This All Original 1968 Shelby GT500KR! 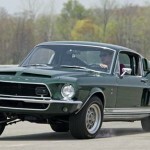 To encounter a completely original Shelby Mustang nowadays is extreme rarity. 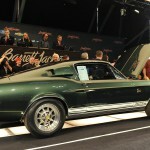 Therefore, this unbelievably beautiful 1968 Shelby GT500KR is very appreciated and honored with prizes. It has all its original elements and mileage of only 12,155 miles. It is a 10-time winner of the MCA Thoroughbred Golds award. Shelby also won the AACA Grand National Senior Award and is the Gold winner of the Shelby American Automobile Club (SAAC) award. 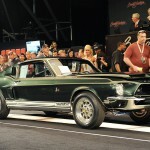 It was sold for 194,700 dollars at the Barrett- Jackson auction. 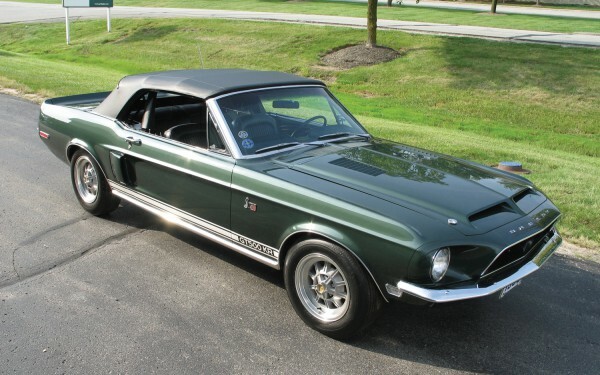 Vehicle description: This Shelby is worth admiring. Not only it has a mileage of 12,155 miles, but it also has its original, factory-made elements starting with the exhaust system and ending with the Polyglas tires. This Shelby features a 428 CJ and a C6 transmission. Furthermore, it has original climate control system, Kelsey-Hayes brakes and Shelby gadgets. It is a winner of a lot of awards. 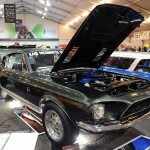 However, even if you are a Chevy guy, you will envy these Mustang owners!